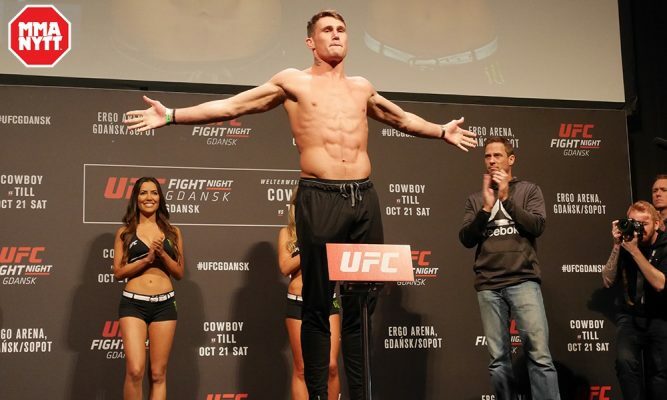 Darren Till proclaimed that he would one day become the best fighter in the world and that journey took a big step forward on Saturday in Poland. The undefeated welterweight prospect made short work of veteran contender Donald “Cowboy” Cerrone with a devastating first round TKO to cap off the card in the main event. Till showed no fear in the face of his toughest opponent to date as he walked down Cerrone from the opening belt, throwing a flurry of straight punches that continued to find a home on the former two-time UFC title contender. Cerrone didn’t seem to have an answer for Till’s size and reach advantage as he even went for a pair of takedowns to slow down the brutish Brit, who looked at least a weight class bigger than the American. With time ticking away in the opening round, Till connected on a nasty combination with a left and a right straight down the middle that clipped and staggered Cerrone. It was all but over at that point as Till rushed forward with a barrage of shots until Cerrone fell to the mat and referee Marc Goddard stopped the fight. The end came at 4:02 in the opening round. Following the win, Till wasted no time turning his attention to another opponent as fellow welterweight striker Mike Perry just happened to be sitting cage side and he called for that matchup when he makes his return to action. The two fighters began shouting at each other with only the Octagon wall separating them until security intervened and they were separated. If Till really wants that fight, he may have to wait a while because Perry is already matched up with top 10 ranked welterweight Santiago Ponzinibbio in December. 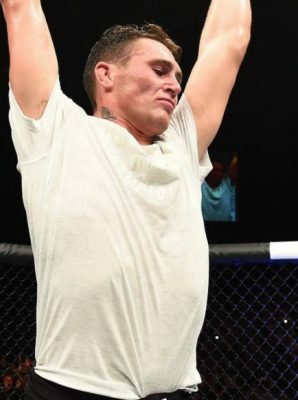 Should Perry get the win, a fight with Till in 2018 would be hard to deny by the UFC matchmakers.